Not even the House of Representatives can escape the mushiness that usually comes with love month. 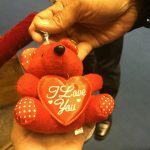 When the plenary session began on Monday, February 13, congressmen and congresswomen were surprised to find a small, red-colored teddy bear on each of their tables. It turns out, Ilocos Norte 2nd District Representative Imelda Marcos wanted to give her colleagues a token in celebration of Valentine’s Day on February 14. 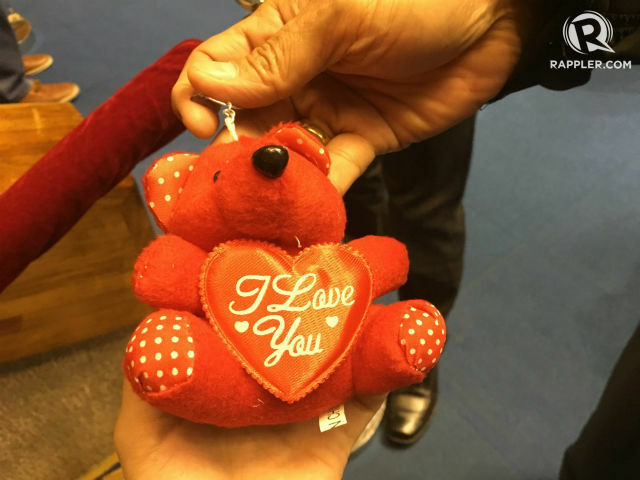 On Monday, a smiling Deputy Speaker Raneo Abu approached the podium and asked Deputy Speaker Sharon Garin, who was presiding the session, if the House could find out who gave them the teddy bears. “Madam Speaker, I would like to rise on a matter of personal and collective privilege. Madali lang ito, Madam Speaker. Tingin ko ito ay tanong din ng lahat dito. Gusto ko lang ho malaman kung sino ang naglagay ho ng mga ‘I love you’ dito sa aming mga la mesa para naman po magpasalamat, Madam Speaker,” said Abu. Garin said she was informed that the teddy bears came from Marcos.